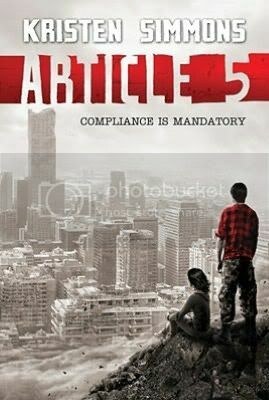 Is anyone else SOOOO excited for Article 5??! 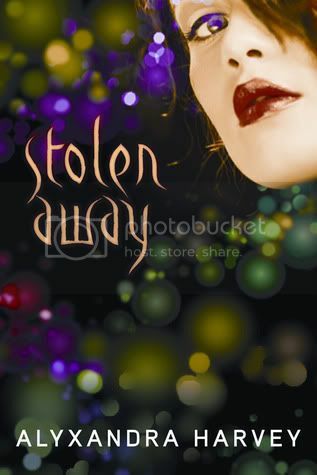 Stolen Away is the second book I’ve read by Alyxandra Harvey. 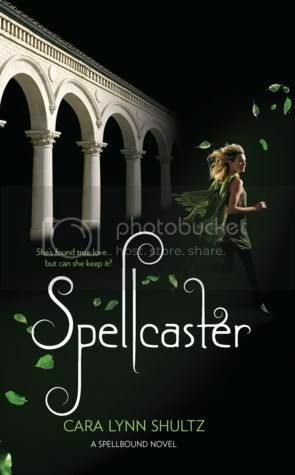 I adored this book just as much as I did Haunting Violet. Mrs. Harvey has a wonderful way of weaving together story that will grab your attention and keep you hooked to the pages. I love her books, and am looking forward to reading a lot more of her work! Eloise Hart is your average teenage girl. 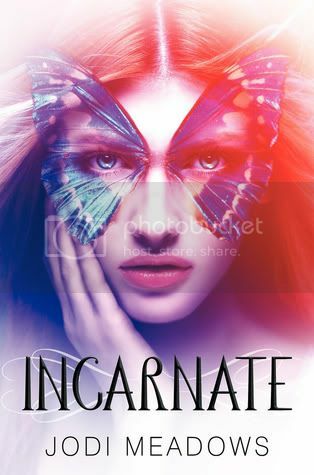 Her world is pretty normal, until the day she discovers the existence of Fae after being kidnapped and held captive by Strahan, King of the Faery. 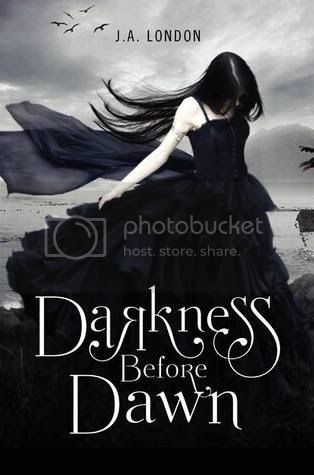 Eloise’s Aunt Antonia, who is also Strahan’s long lost wife, comes to the rescue, but is then taken captive herself. 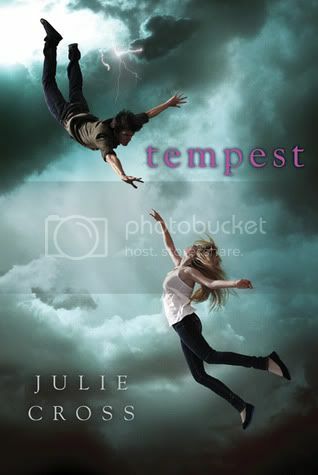 It is up to Eloise, and her two best friends, Jo and Devin, to save Antonia, and possibly the Fae world and their own world. The story is told in alternating viewpoints between Eloise and her best friend Jo. I really loved both of these girls. While Eloise comes off as quiet and shy at the beginning of the book, she definitely grows and finds her voice throughout the book. Jo is the exact opposite of Eloise; she is extremely confident, strong-willed, and a little bit snarky as well. I really loved this about her. Their other best friend, Devin, was great as well. I wish we had seen a little bit more of him in the book. The love interests in the book were great. I loved both of the boys, Lucas (Eloise), and Eldric (Jo). The relationship between Eldric and Jo was a bit intense, and it was right on the borderline for insta-love for me. It just happened really quickly. The relationship between Lucas and Eloise was sweet, and grew over a much longer period of time. I did enjoy both couples! 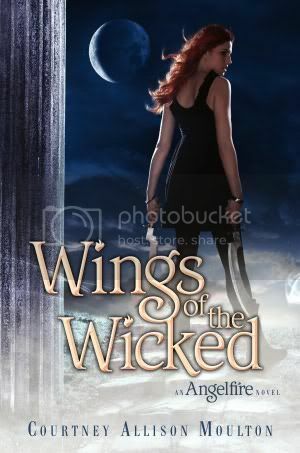 I didn’t think I was going to like the storyline for the book; Fae has been a little overused. But I ended up really enjoying the storyline. It was very mysterious, and that and the pacing of the book kept me hooked to the pages. I finished this book in one day, it was that good. The ending of the book was very satisfying, and is definitely left open if Mrs. Harvey ever wanted to do a series. Overall, I thought this book was so great. 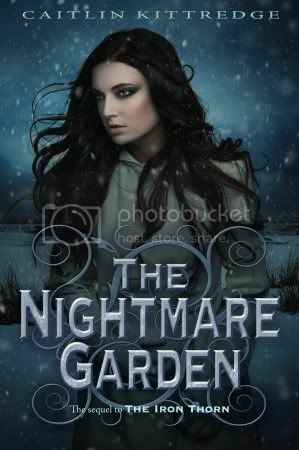 I am officially an Alyxandra Harvey fan, and can’t wait to read more of her work! I get a huge chunk of my books from the library. Having three kids, I'm not able to book shop as much as I'd like to. So usually I get books from the library, and if I really, really love it, I will buy it. Unless it's something that I know I will love anyways. 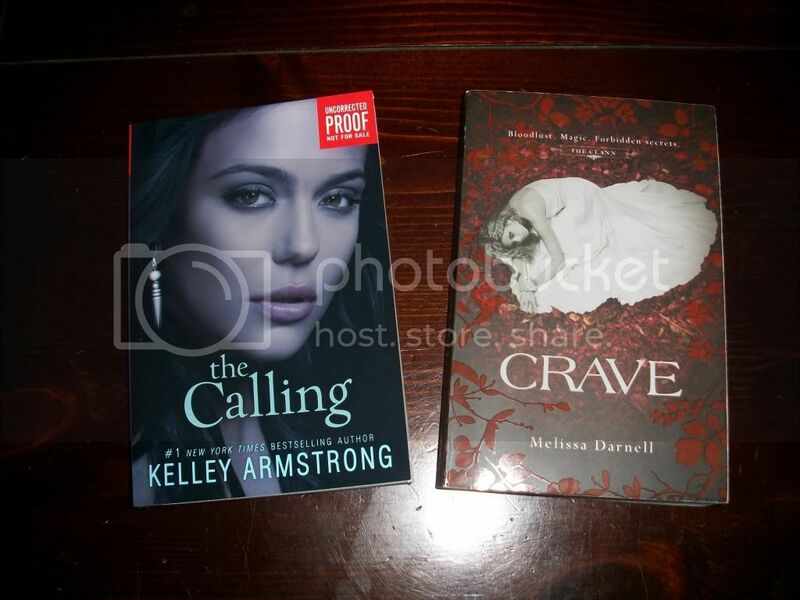 I also get a pretty decent amount of books from Netgalley and Publishers. I am always super thankful for these! It’s 2009, and Jackson Meyer is a 19 year old college student. Jackson also has a special ability; he can travel back in time. But this is nothing like time travel you’ve heard about. When Jackson jumps back in time, he doesn’t have the ability to change something in the future. It’s all fun and games until one night, two strangers appear and kill Jackson’s girlfriend, Holly. In a state of panic, Jackson jumps back in time, and where he gets in 2007. With help from his friend Adam, he must figure out a way to get back to 2009 to save Holly. Jackson was a very interesting main character. To be honest, when I first started the book, I didn’t really think I was going to like him at all. However, as the story went on, I ended up liking him more and more. He is one of those characters that starts off as kind of a jerk, but then something bad happens, and he realized the error of his ways. I definitely enjoyed watching him grow throughout the book. I really enjoyed Jackson’s girlfriend; Holly, and his best friend; Adam. I thought they were really interesting characters to read about as well, and I really enjoyed all of their interactions together. Jackson’s dad was an interesting character as well; he was very mysterious, and it took me a while to figure him out. I’m glad we got more of his story as the book went along, and I hope we get to see more of him in the next book. Time travel books are hit and miss with me. I enjoyed that the time traveling in this book was different, because Jackson couldn’t change the outcome of the future. That’s the first thing I think of when I think of time travel, being able to change the future. So I enjoyed that aspect of the book. Overall, I thought this was a really interesting read. 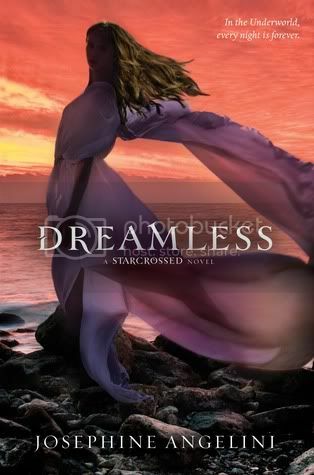 I enjoyed the characters and the storyline, and I am really looking forward to the next book in this series. First off, I love the cover for this book. It's Gorgeous! Secondly, the story and the characters sound very interesting. This definitely sounds like it will be a great read! I have had an account with Pinterest for a while now, and while I have found some fun, crafty type stuff to do on the site, I never really dove into it to see what I could really do with it. Sunday, I read a blog post by Mandy at WellReadWife.com, titled Pinterest and Book Blogging: Use The Latest Social Media Craze To Your Site’s Advantage. 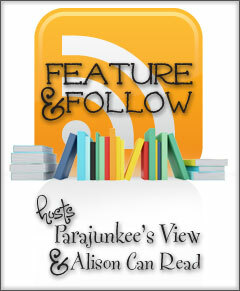 This is a really awesome post on how Pinterest is such a wonderful resource for book bloggers. It's definitely worth the read! After following the steps that Mandy suggested, I have become completely addicted to Pinterest! I made some 'boards' that were book related, and even posted some links to reviews on my website. I'm pleasantly surprised with the response so far. This definitely is a great way to get your information out into the world. If you're looking for a fun, addictive way to share your blog info, you should definitely check out Pinterest! If you haven't already joined Pinterest, do so now! 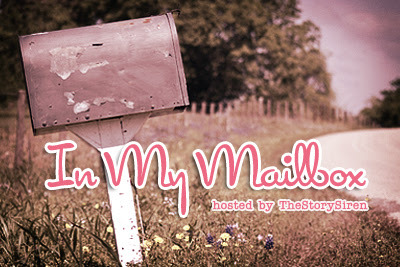 (Request an invite!) Once you join, look me up! The Reader Bee on Pinterest! Being a fairly big football fan, I was really excited to get started on Catching Jordan. Although I was intrigued by the storyline, I wasn’t expecting to care about the characters as well. I am glad to say that I definitely did! The main character in the story is Jordan Woods. Following in the footsteps of her NFL quarterback father, and college football quarterback brother, Jordan is the quarterback of her high school football team. Jordan is like no other girl in her school. All Jordan really wants is to play football at the college of her choose, and to have the approval of her father, who would like for her to stop playing football all together. But she’s determined to aim for her dreams, and I find that very admirable. The relationship between Jordan and her dad are a bit strained in the beginning of the book, and I was gearing up to not like dear old dad. He did grow on me throughout the book, and I could definitely see his reasoning for wanting her to stop playing. I LOVE Jordan’s relationship with her brother Mike; he’s the brother I always wanted! I really didn’t care too much for Jordan’s love interest in the story, Ty. He seemed a bit over-possessive, and controlling, and that was a bit of a turnoff for me. The characters that really stood out in the book for me were Jordan’s teammates; Carter, JJ, and Henry. I loved their friendships, and I love how they treated her with respect as well. They were all such great friends. With Henry, there were some times where I wanted to knock some sense into him, but I still found him to be a pretty awesome guy. 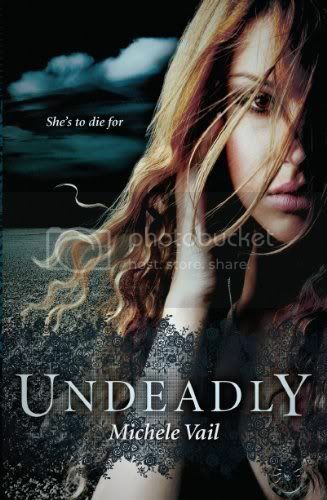 This book was a really well paced book, it definitely kept me interested. I loved the plot! A girl quarterback definitely drew my attention, and I loved reading all of the football jargon. Overall, I found Catching Jordan to be an enjoyable read. I really look forward to reading more by this author! 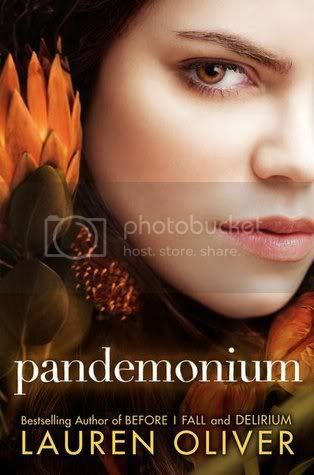 The one I would recommend would be Pandemonium, but you'd have to read Deliriumfirst, if you haven't already! 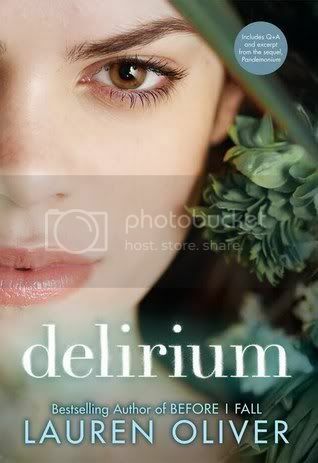 And if you haven't read Delirium yet, YOU TOTALLY SHOULD! 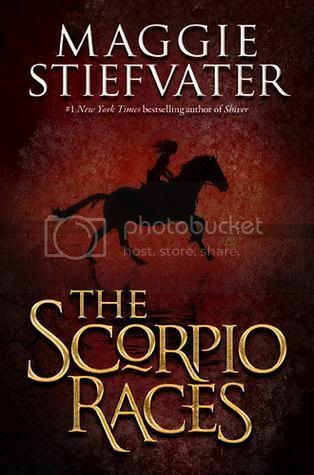 I was super curious about The Scorpio Races the minute I heard about the book. I didn’t really know what to expect for a book that dealt with horses, but I love Maggie Stiefvater, and I couldn’t wait to get started on this book. It was definitely worth the read! Every year, November marks the beginning of the Scorpio Races. These are no normal races, however. These races consist of water horses that long for their home in the sea, and eat not only other animals, but humans as well. Riding one these beasts to the very end of the race will win you big, but you could also die in the process. Kate Connolly who, is the first girl that has ever entered the race, needs to win to save her family home. Can she do it, is the question. Kate (Puck) was just a really great main character. I love that she was just a girl, plain and simple. Not wanting to give up the only home she’s know, she did what she had to do for herself, her brother and their home. I love that her best friend is her horse, Dove. They have such a special bond together; it was always nice reading about their situations together. I also really enjoyed Puck’s younger brother, Finn. You could really see how much he cared for his sister, and I loved their brother/sister relationship. Sean Kendrick, who should be Kate’s biggest rival, turns out to be a great character as well. I was a little unsure of him at first, he was a bit standoffish and distant, but he definitely won me over by the middle of the book. I love the way he was with the horses, and the way he was such a gentleman, especially when it came to Puck. The storyline for this book was absolutely unique and fascinating. Just imagining the horses that live in the water, and how evil they were. It definitely kept the mystery in the book. I enjoyed the pacing of the book as well. 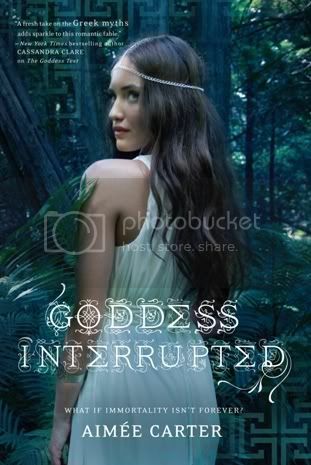 Once I had time to actually sit down and read uninterrupted, I flew through the pages. The ending of the book is very satisfying, I thought it ended perfectly. The romance in the book is at a minimum, but I think that makes it stand out even more. Overall, I enjoyed this book a lot more than I expected to! With such a great storyline, and awesome characters, who wouldn’t love it? 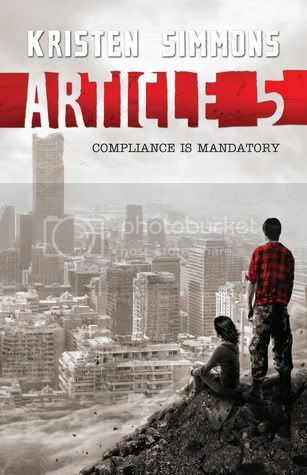 It’s definitely a must read. 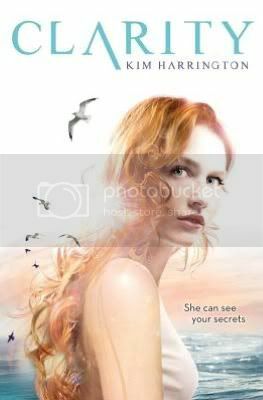 Slide is an intense, mysterious read by debut author Jill Hathaway! 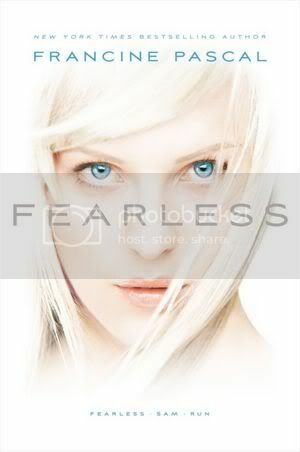 The main character in the story is Sylvia, who is also known as Vee. Vee suffers from narcolepsy, or so it would seem. 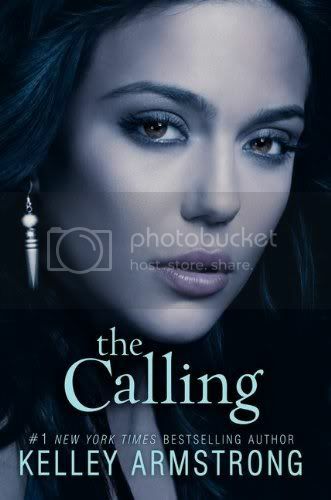 In realty, she slides into other people’s minds, and gets to see through their eyes what exactly happens in their lives. When she touches an object that has been imprinted on by a person, she can slip into that persons mind. This is how she discovers that her sister’s friend did not, in fact, commit suicide, but was murdered instead. I found Vee to be a very likable character. I loved that she was able to step up and fill shoes that were hard to fill, even while she was not able to share her own issues at all. It did bother me a bit that she kept her secret from everyone for so long. I totally understand the reason she kept the secret, but I felt that she was shouldering the burden all alone, and I really just wanted her to have someone to share with. The secondary characters were pretty well written as well. At first, I didn’t think that I was going to care for Vee’s sister, Mattie. But I ended up really caring about her. These two girls went through a LOT, and they were there for each other. I love that sisterly relationship. Vee’s best friend, Rollins, and the love interest in the story, Zane, were both interesting characters as well. I really just wanted to know them better, especially towards the end of the book. 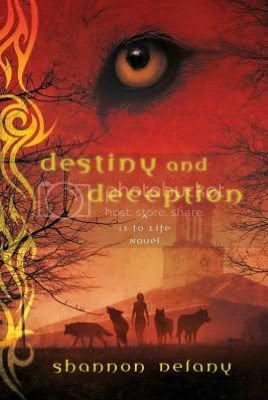 The plot was very interesting, albeit somewhat predictable in parts of the book. One part definitely kept me guessing, and that was trying to figure out who exactly the killer was! The book was definitely well paced; there were not many slow parts at all. Overall, I found this to be a quick, intriguing read. 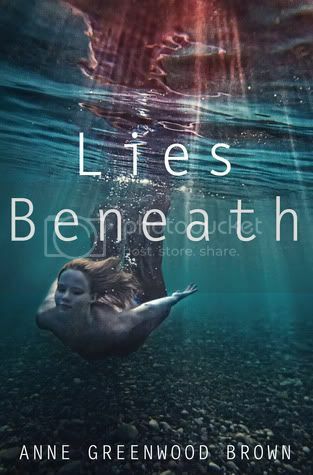 It actually reminded me of the Wake series by Lisa McMann, which I adored. I’m really looking forward to reading more from this debut author in the near future! 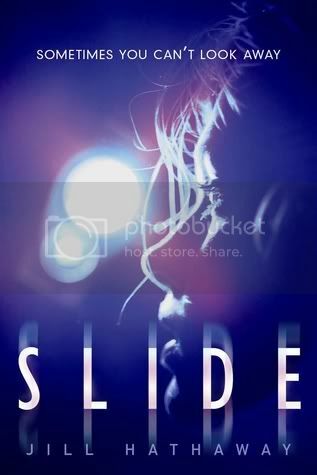 Here's your chance to win an ARC of Slide! Winner will be contacted via email. If you do not respond within 24 hours, a new winner will be chosen. 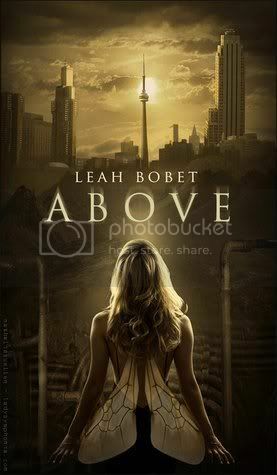 You can also check out my Most Anticipated Sequels of 2012 and Most Anticipated Debut's of 2012!